Dr. George T. Ransdell is following the plan set forth by his father, Dr. Neal Ransdell, almost 60 years ago. That plan followed not only quality treatment, but also a high degree of patient education. We welcome patients that are dedicated to achieving and maintaining proper oral health—whether you are at the beginning of your commitment or whether you are maintaining years of quality treatment, Dr. Ransdell and Cedar Hill Dental Diagnostics provide the optimum setting for attaining those goals. Starting with your first phone call and visit, you will notice the experience of the front office staff and the competence of the clinical staff. This experience and skill level allows us to offer a uniquely comprehensive scope of practice. Cedar Hill Dental Diagnostics is the laboratory branch of Dr. Ransdell’s Cedar Hill office where he and his lab staff do the majority of restorative work in-house—from fine ceramics and gold restorations to high tech CAD-CAM design work. Cedar Hill Dental Diagnostics also provides design work for other implant dentists. 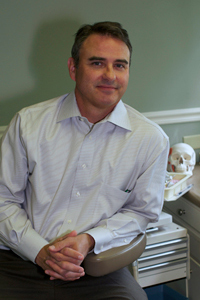 Dr. Ransdell has been practicing general dentistry in Bowling Green since 1991. 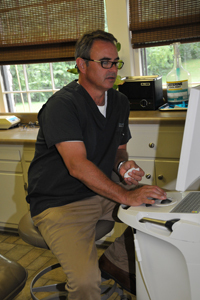 He established Cedarhill Dental Diagnostics to augment services provided in-house allowing for more comprehensive treatment plans and increased quality control. He is certified to surgically place implants, restore implants, design and laboratory fabricate custom implants. 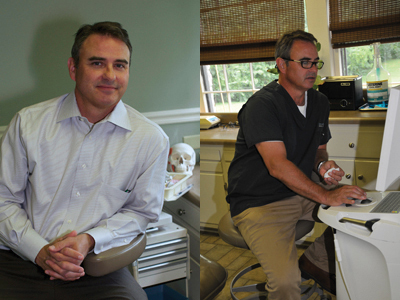 He is a dental ceramist with over 20 years experience, making over 90% of his crowns.